There is no chosen one in this story. Avery Gray was just in the wrong place at the wrong time and happened to make a decision that altered her future forever. It happens to all of us every day. Avery is a size twelve young woman with a penchant for dry humour, and she’s as normal as they come. Up until now, the biggest choice she’s had to make was glasses or contacts? At the moment, it’s stay and save, or leave and be saved. Allow me to explain. One rainy afternoon, Avery had to make a choice: go through the alleyway or around it. Two possible options; one would have had her future continue on as planned, the other would ensure that her future never remained the same again. She unknowingly went with the latter. But change is not always bad. Avery meets Theodore-James Connors, an enigmatic young man who takes her to Hayven, a city separated from the rest of the world, where only gifters – ordinary people with extra-ordinary gifts – can go. She soon finds herself in a close-knit group of friends she’d never have imagined herself in; friends who are diverse in every possible way, from their ethnic backgrounds, to their personalities, from their gifts, to their life stories. Friends who make her laugh, who make her cry, who make her think, who make her…her. However, change is not always good. The beautiful, golden city of Hayven has its dark side: Cliders. Gifters turned rogue, aka, Cliders are determined to aid fallen Clider, Madrina, return to rule Hayven. They will stop at nothing to make that happen, including harming those Ava has grown to love. Again, Ava is faced with a choice: spend her days finding a way to inhibit Madrina’s return, or walk away. Or rig the future itself and make it work for her. Interested in the author behind the book? Whenever someone asked me what I wanted to be when I was older, I’d proudly tell them I wanted to be a doctor. This was a decade ago. Somewhere along the line I realised the thought of not being able to cure everyone who walked through my hospital’s doors was one that would probably haunt me for the rest of my career, so I decided I wanted to be a lawyer instead, specialising in family law. Then it came time to pick a course to study at university and again I realised that being a lawyer doesn’t always entail what TV shows made me think it does. Then I wanted to be a business woman, working in finance, so I studied International Business at Brunel University for a year. I HATED IT. What I’m hoping you’ve done by now is notice something all these careers have in common. You guessed correctly if you picked up on the fact that they are all well-paid, respected jobs. That’s the dream for everyone, isn’t it? To either be rich or at least well-off. To not have to worry about bills, to not have to struggle with a mortgage. Luckily, on one forty-five minute train ride home, I suddenly decided life was too short to spend the rest of my life in a job I wouldn’t enjoy simply because it paid my bills. The mantra, find a job you love and you’ll never work a day in your life became my adage and a phrase I say to myself when things look rather bleak concerning my now chosen future career. I didn’t want to get to a stage in my life when I would discover that actually, I really didn’t like my job but it was too late to do something different now, that I was too trapped to change career paths. Disclaimer: it’s never too late to change career path but I was younger when I had this rather long train of thought (Pun intended? Lucky accident.) and didn’t know much better. So, on the train ride home I made some big decisions. My first year at Brunel University studying International Business would be my last year and I asked myself, “Jess? What do you want to do with your life? What do you want to see yourself as one, two, three decades from this day? What job is out there for you that will never make you regret what you’re about to do?” And the only thing I was able to say to myself at that particular moment was, “I like to write.” But even then I couldn’t help remind myself that being an author was not a stable job – at all. I was always the girl with the life plan, the mapped out future that ensured, one way or another, stability. Within three minutes, I threw all of that away. I bought myself a mini laptop (an expensive purchase for a student) and set about using my forty-five minute journeys to university for my first novel – an MG spy novel highly resembling Ally Carter’s novels. The more I wrote, the quicker I fell in love with the idea of this being a career. A year after came my YA fantasy/romance novel, GIFTED. My greatest achievement so far. Literary agents may not think so (the more you read my blog, the more you’ll understand of that). Authors may tell me to give up and try writing something else. That’s not going to happen. 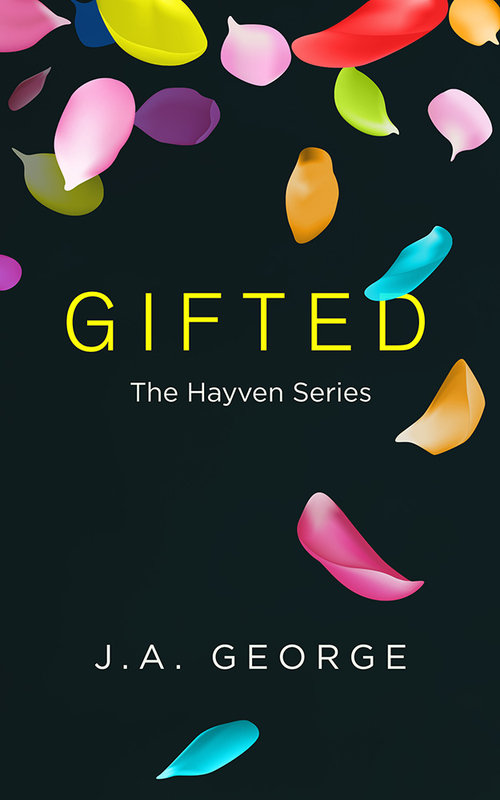 I want to see Gifted published and available in bookshops around the world. Every author wants that for their book, and that’s what I am. An author.